LUBEGARD’s UNIVERSAL CVT FLUID meets the performance requirements and specifications of ANY belt type continuously variable transmission . The added patented LXE® Technology imparts superior oxidation stability to this CVT fluid as well. 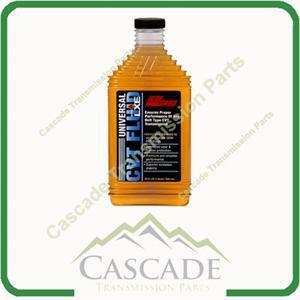 Service over 80% of all CVT’s confidently with LUBEGARD Universal CVT Fluid!